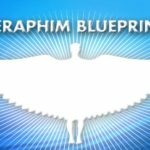 Come join me and the Seraph to become initiated into the Seraphim Blueprint Level II, Seraphim Sacred Geometry. This will move you forward on your Seraphim Blueprint journey. 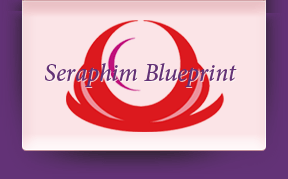 You have taken Level I of the Seraphim Blueprint system-Seraphim Healing. 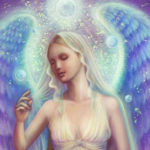 As you probably have found out the Seraphim energies build in you as you run them on yourself each day. If you are looking at taking Level II, you are probably ready for the jump in energy as you are initiated into two more energies in this system. Are you ready for the next step on your journey? Then Seraphim Sacred Geometry may be just what you are looking for. It works on breaking down karmic boundaries that limit our accomplishments in this lifetime. The key energies enhance rapid evolution. One of the energies is the supreme organizing power of the universe, and the other is the power to progressively remove karmic limitations. Sacred Geometry is a fascinating subject and bringing the Seraphim Blueprint energies to it helps us see that similar geometric and mathematical ratios can be found in natural forms, such as seashells, music, light, and cosmology. Founder, Ruth Rendely brought this system back to us in 1994. It is one of the most powerful energies I have ever experienced. The healing I have found through this system has been profound. In Level II through IV, you will be introduced to the energies that are about your personal and spiritual evolution. 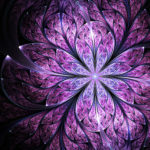 In Level II, we experience the discovery of sacred geometry as it applies to the internal workings of the bodies. Pre-registration is required so that as I can prepare class materials for the day. You should bring your opener stone to the class or have it available so that you may hold it during the initiations. If you have any questions please contact me by email at Mary@Wings-Unfurled.com or phone or text me at 443-465-3060. 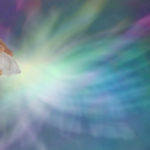 Let’s continue opening your angel wings with Wings Unfurled and this beautiful Seraphim Blueprint energy!